Mister B now carries these superb Exxxtreme fitted bedsheets. 100% waterproof! Your Exxxtreme Sheets are specifically designed to withstand your wildest bedroom play. They can be used with all types of lubricants, including oil-based ones that can deteriorate traditional latex rubber, making way for uninhibited fun. Sleeping might be the last thing on your mind but at the end of the night you want to be able to get some rest. 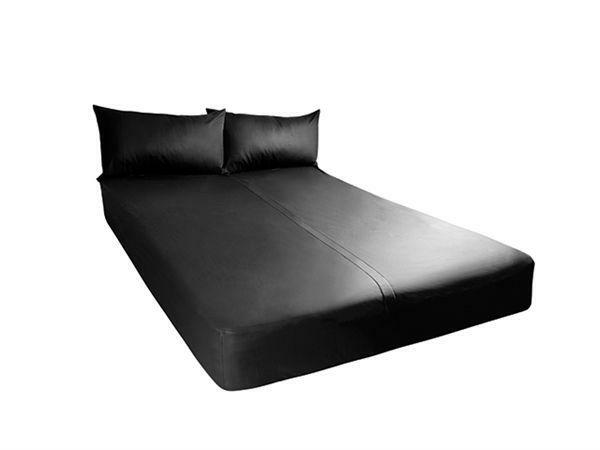 Constructed from extra-soft neoprene rubber, Ignite?s Exxxtreme Sheets can be used for sleep as well as play. Easily wipe away any mess with a non-bleach based household surface cleaner or detergent. If necessary place sheets in the washing machine at low temperature and regular detergent. Do not use a fabric softener or bleach. Hang dry with fabric facing out. Includes one machine washable, fitted rubber sheet.